But will he sing Rage Against The Machine? Wagner on track to win X Factor 2010? Okay, firstly, an admission. 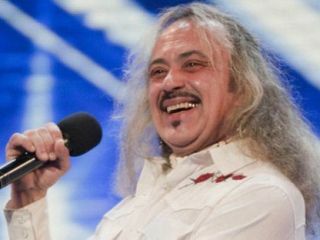 We all want Wagner to win the X Factor. 54-year-old Wagner Carrilho, for those that deny themselves the guilty pleasure of watching X Factor of a Saturday night, is a funny old Brazilian man who used to be a PE teacher and is now bravely branching out into the world of big-budget, blanket-promoted reality TV in the UK. And there's a picture of him holding a lion by the tail. He is clearly the comedy choice for the 2010 competition. This year's Jedward, but somehow a little bit less annoying (not that you could top them on that factor) and a lot more vulnerable. By the show's own logic, Wagner has not got a cat's chance of getting anywhere near the X Factor final. Which is why there is a new Facebook campaign to help to give Wagner the push he needs to win the show. Whether or not the campaign will gain any traction, in the same way that last year's Facebook campaign put Rage Against The Machine straight to the top of the charts ahead of X Factor 2009 winner Joe McElderry is still to be seen. The campaign is being run by a group of people who are clearly not massive fans of Simon Cowell. One commentator, Thanxx, wrote on the site: "If you just fancy a really crazy Xmas number 1 this year... vote Wagner!!! If you despise all what the X Factor stands for vote Wagner! "If you hate Simon Cowell and want to p*** him off vote Wagner! If you want to help run the X factor into the ground and cause mayhem vote Wagner!" Another commentator, Simon Matthews added: "I actually think Wagner would make for a really fun Xmas number 1, gotta be better than the alternative romantic slushy s***e that one of the other contestants would bring out!" Despite the Facebook haters, Wagner is still the bookies favourite to be booted out of the show this week.